With the emergence of spring, we look forward to new growth and the development of our Hospice Residence project. Many of you, who are our dedicated supporters have been inquiring as to how close we are to seeing the new Hospice Residence open it doors. We would like to take this opportunity to update you on the work of our volunteer board and staff and introduce our “Strengthening Circles of Care” Campaign Chairs. During the last year, our business model for bringing this project to completion has changed and we are pleased that we are getting closer to fulfilling our dream of building a Hospice Residence. The Society is delighted to be working in partnership with Membertou Properties and the Nova Scotia Health Authority (NSHA). The Hospice Residence will cost $5.2 million. Membertou Properties is providing the land and site preparation valued at $1.2 million and the Society is committed to raising $4 million to cover the cost of construction and furnishings. Negotiations with the NSHA are ongoing regarding the assumption of the operations budget. The Hospice Palliative Care Society of Cape Breton County plans to raise the $4 million through the ongoing generosity of our community, friends and supporters. 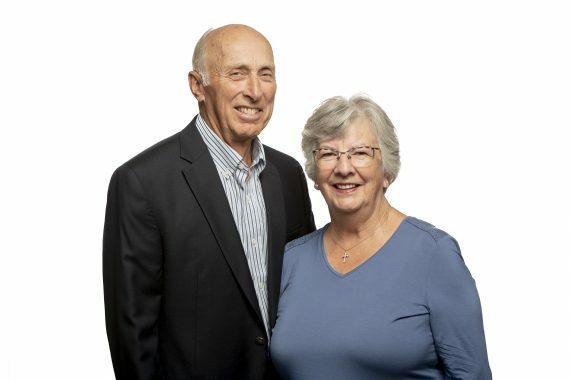 To lead our fundraising efforts, we are pleased to welcome and introduce our Campaign Chairs, Monica and Brian Shebib. Monica is well known for her dedication and volunteerism especially in the area of Hospice Palliative Care. When Monica isn’t busy volunteering with Hospice Palliative Care at the Northside General, she is active as a director with the Society’s board as well as engaging in numerous other community organizations. Brian is also active in the community and after retiring from M.V. Osprey he continues to be involved in development projects throughout the CBRM. We are grateful to have such a dynamic couple leading the Society’s fundraising efforts. The campaign is still in the early stages of development and we will keep you informed as we progress with both our fundraising and construction plans for the Hospice Residence. We wish everyone a wonderful summer and look forward to sharing additional details about this exciting community partnership in the near future.